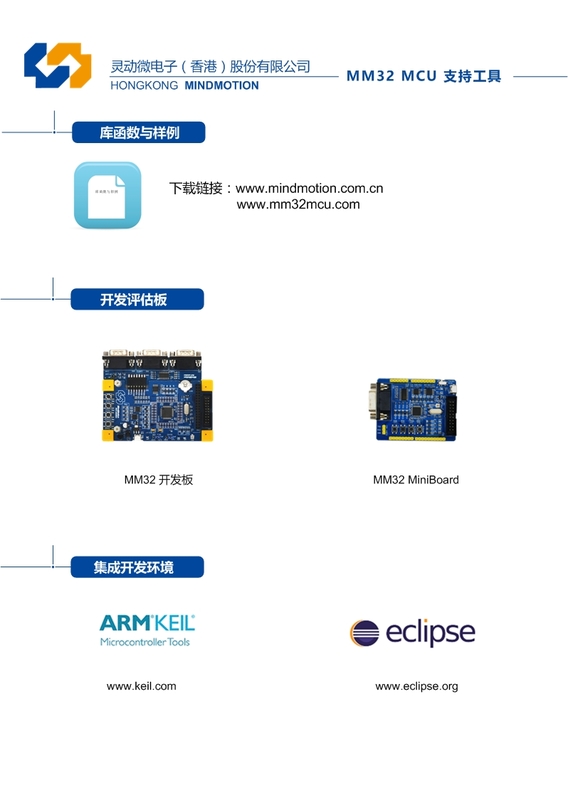 MindMotion Microelectronics (HK) Co., Ltd. is a leading domestic solution provider in both MCU Designs and Applications. 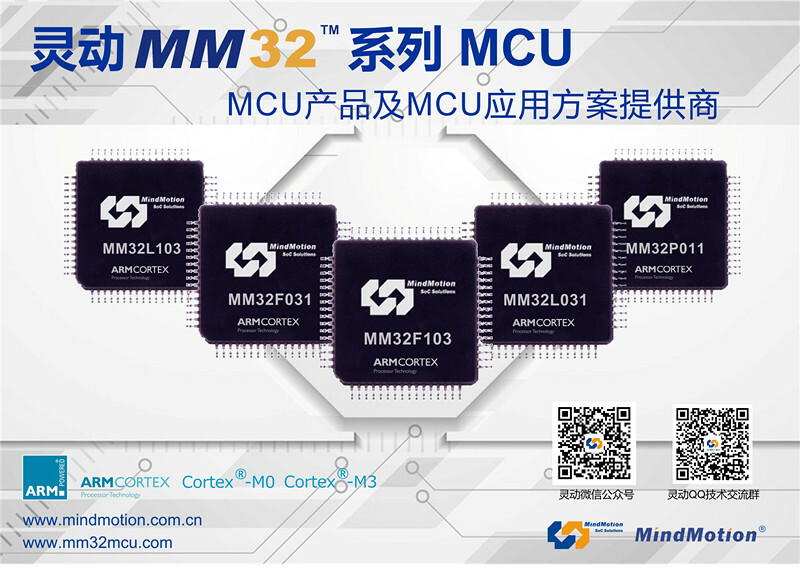 MindMotion MCU offers a wide range of products built on the ARM® Cortex®-M0 and Cortex®-M3 core which are currently available in volume and sampling. 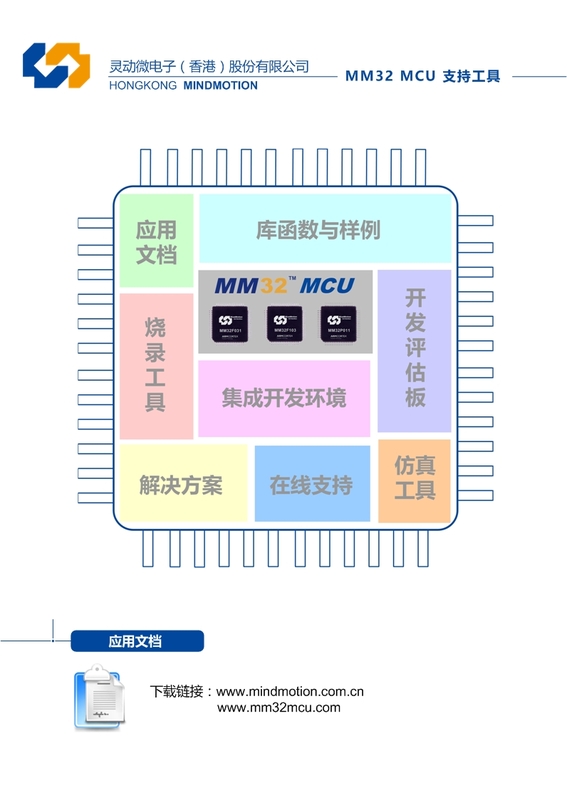 These include the MM32F series for general purpose high-performance markets, the MM32L series for ultra-low power and safety applications, the MM32P series for ultra-small size and ultra-high integration as well as a variety of wireless connectivity MM32B/R/W series.. 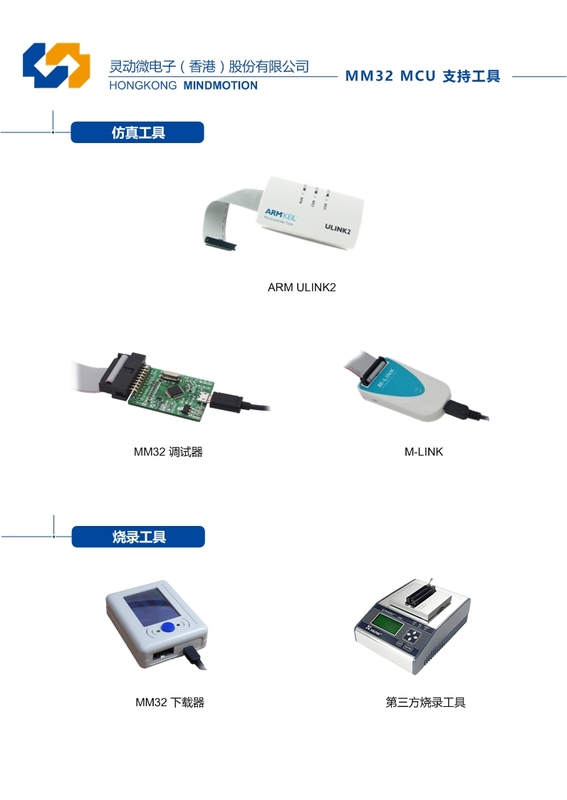 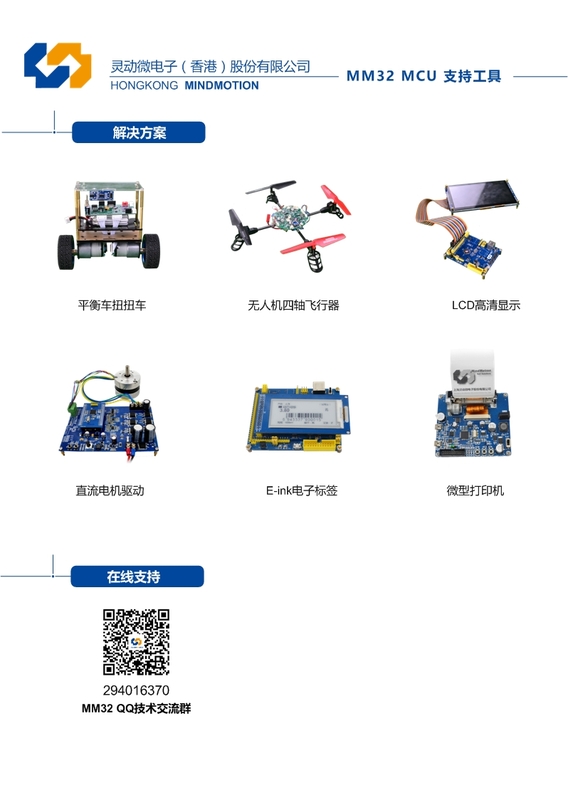 The MCU products and solutions are widely used in IOT, industrial control systems, smart homes, wearable tech, automotive electronics, instrumentation, and many other fields.